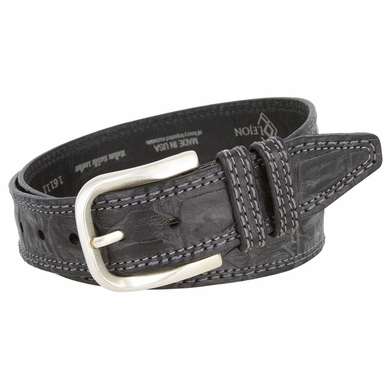 1 1/2" = 38mm Wide and with a double stitched design all around the belt strap. MADE IN THE USA. Silver finish plated buckle. Italian saddle leather. Two matching leather loops with a double stitch.